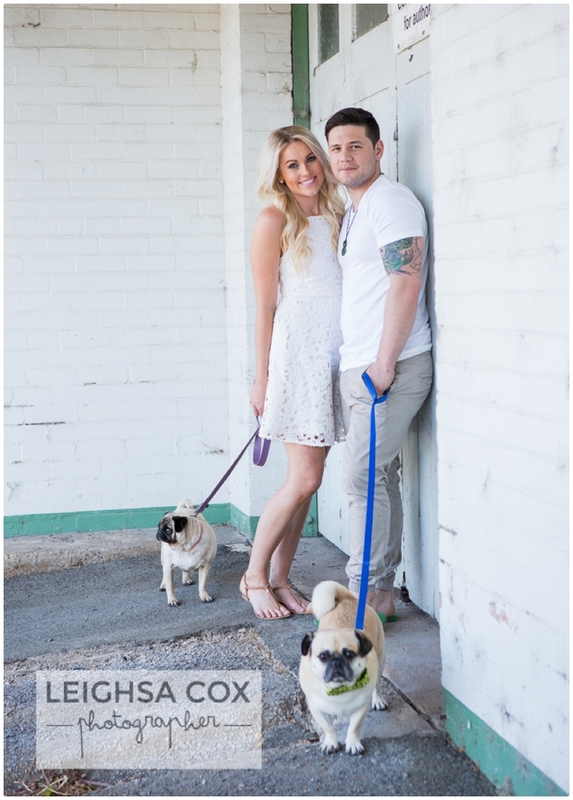 Oh my this shoot couldn’t be more adorable! 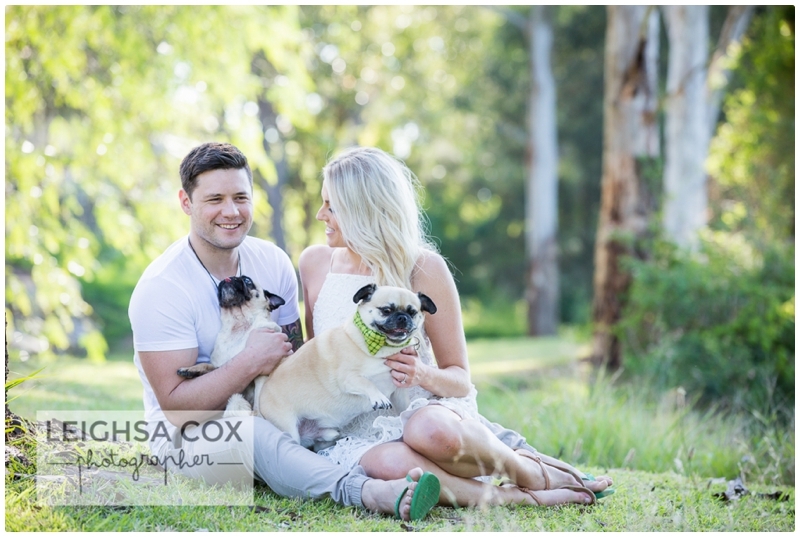 Gorgeous couple and cute as pugs, plus that amazing afternoon sunshine. 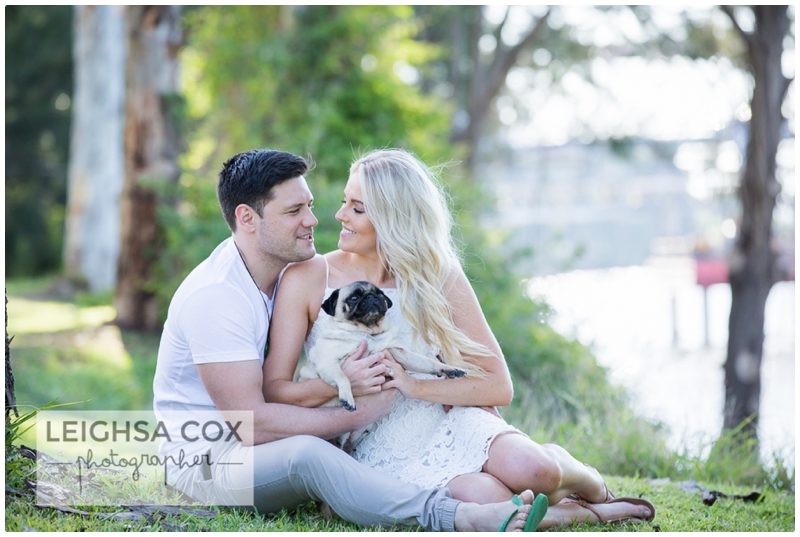 I love it when people include their pets in a session, it really makes it unique. Laughs and cuddles with pets are lots of fun (and unpredictable!). 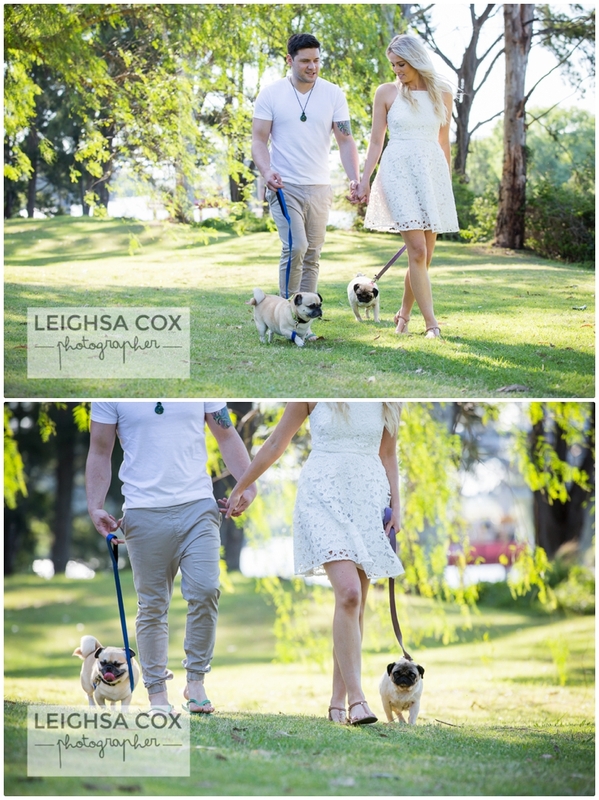 Morpeth was the perfect spot to explore with these guys. 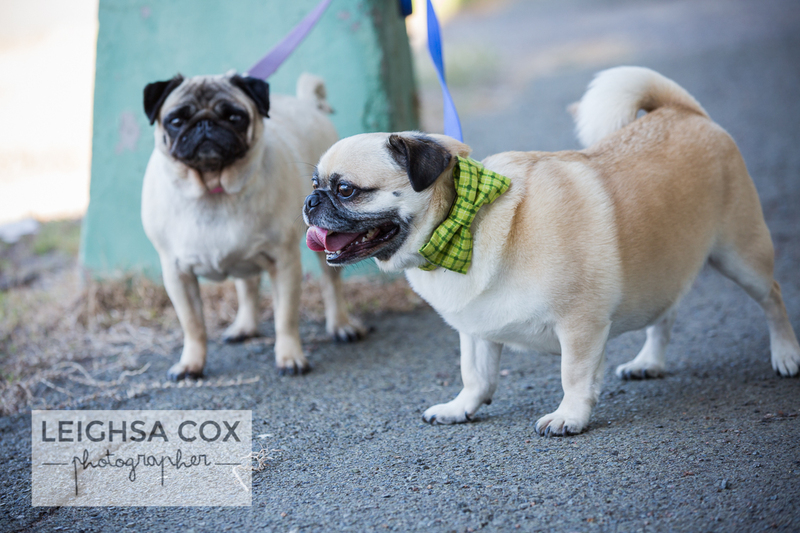 We met near the old bridge with the intention of using the park and under the bridge as a backdrop. But it was unfortunately closed off. We headed out for a walk to see what else we could find. The rustic building of the old mechanic was fantastic. 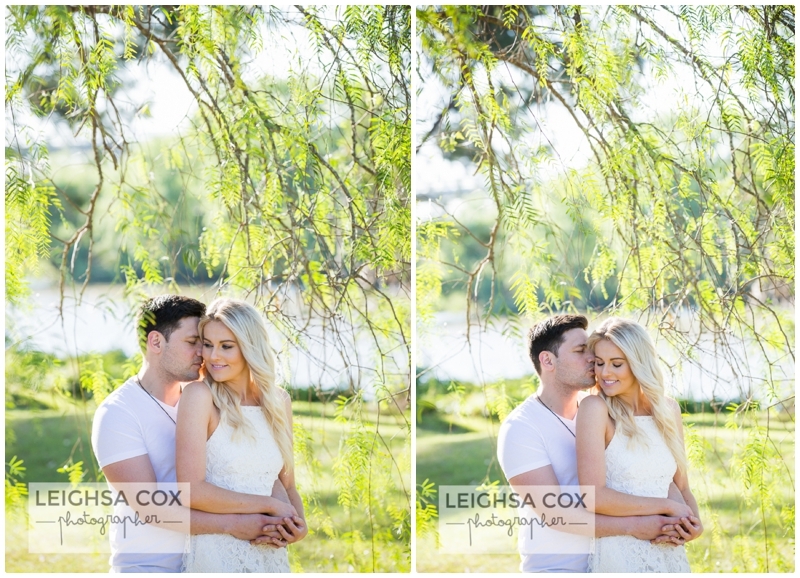 The river bank with those willow trees was just perfect too! 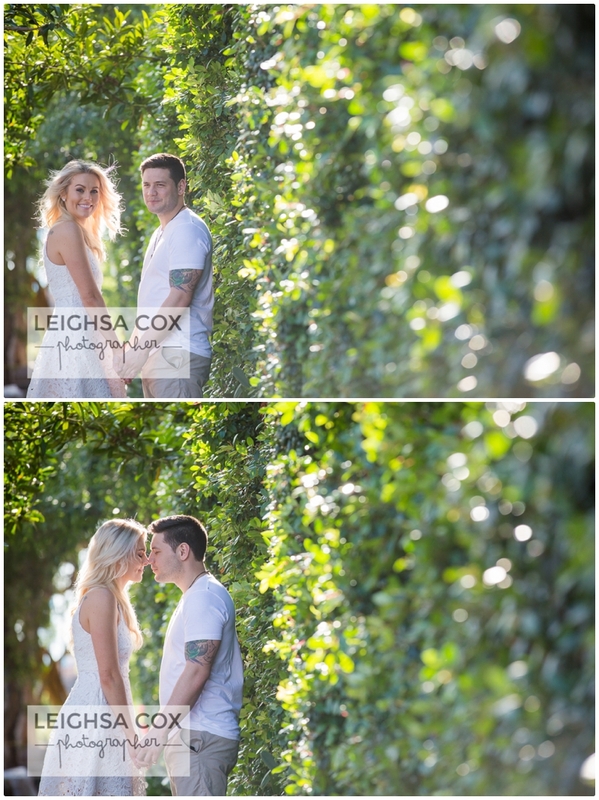 And a few quick shots next to the hedges on the way back finished the session of nicely. 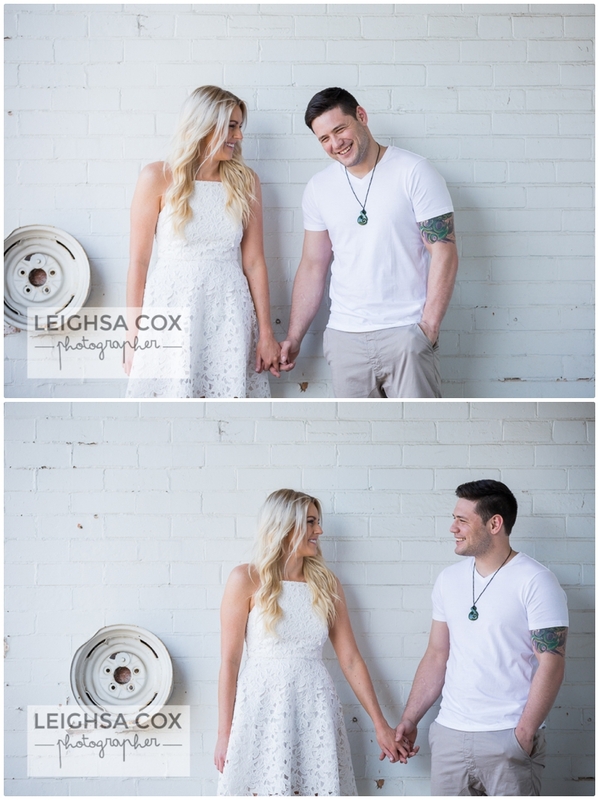 It will be lovely to be part of Erin and Rob’s wedding in October next year. 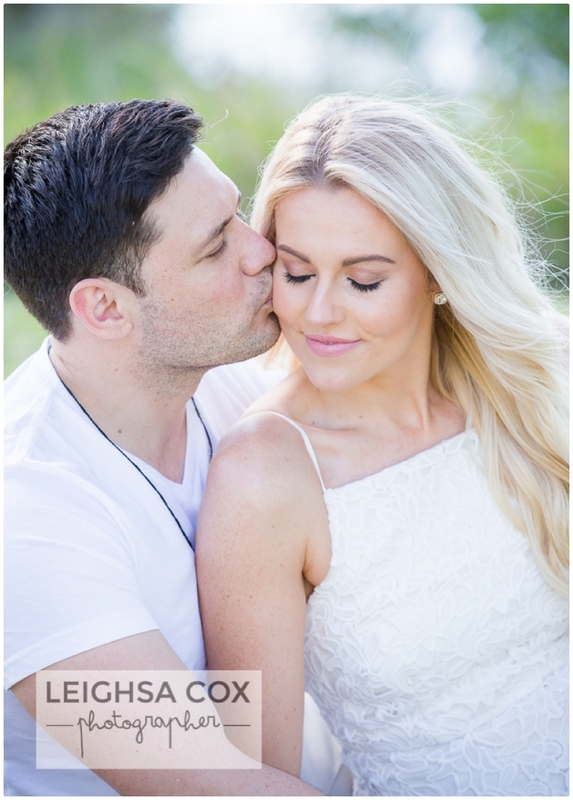 What a beautiful bride Erin will be! !